Make excellent DIY decoration using old newspapers from this best out of waste tutorial by Artsy Fartsy. 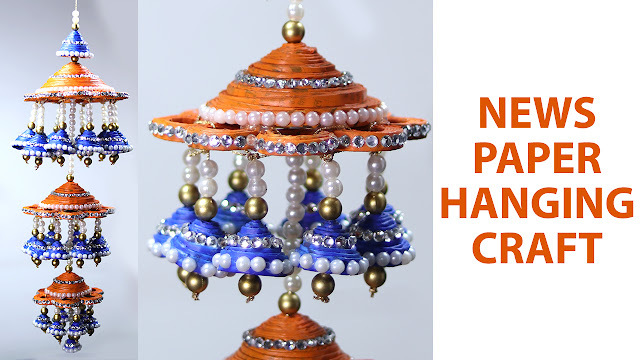 This is one of the most beautiful things made by waste material and among hanging decor ideas. You can make your own party decorations in this manner with paper craft. Just follow the step by step directions shown in this craft tutorial.